Hello, today is Papertrey Ink March Blog hop 2015! 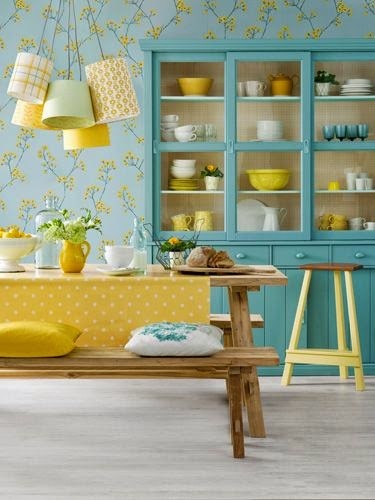 Yes, I am ready for spring and these colors, aqua and yellow feel like spring to me. Although this morning I woke up to a dusting of fresh snow on the ground, it is still very pretty to me. This new stamp set Brushed Blooms was so nice to use, super quick to make a card. Also used Chevron stripes, Inside and Out: Love and You've Been Framed: Oval. The card on the right I used foam tape to raise the blooms and the card on the left I die cut 3 layers and glued them together. Have a great day and enjoy the blog hop. Oh Nancy, these are just gorgeous! Love the way you used this new set. Lovely cards! Your dual stamping on the leaves is a knockout! fab cards- love that new flower set. Gorgeous cards! Just got my flower set and cant wait to play! Nancy, your cards are simply beautiful! beautifully done, both cards are lovely creations! Terrific cards - love the color contrast on the second one! Both are beautiful, Nancy! Slapping myself in the head for not getting these! Gorgeous! These are both gorgeous. I don't think I had an idea of the scale of them until seeing them on your card. They really do make a stunning focal point. Oh pretty! I love how you took the design of the first card and switched it up a bit with the second card. Both are beautiful! Your Brushed Blooms are so gorgeous in those colors!! I love the chevron stripes and the beautiful neutral backgrounds on both cards! 2 beautiful cards! I've been debating about the Brushed Blooms & it's moving up on my wishlist now! Nancy, yours cards are so fresh and pretty! Love that stamp set. Great take on the inspiration photo. Love both of your cards, that flower IS lovely! Both are sweet cards, I'm loving these colors and you used them so well. Your cards are gorgeous. I still haven't used my Brushed blooms; focusing on Bitty Bouquet right now. I love how you combined the aqua and yellow with the kraft. Such pretty cards. You've convinced me that I need to order Brushed Blooms. Love these. Lovely use of the Brushed Blooms! Don't you just love PTI stamps? I like how you stamped the duo tones on the leaves with the chevron background. Your cards are so pretty. Love the softness of the first card. So lovely! I like how the aquas/blues look with kraft, it's a great combo.